CLIC2, 1-247aa, Human, 01-1838-2 | ARP American Research Products, Inc.
CLIC2, also known as, chloride intracellular channel protein 2, regulates cellular traffic of chloride ions, a critical component of all living cells. This protein is involved in membrane potential stabilization, signal transduction, cell volume regulation and organic solute transport. 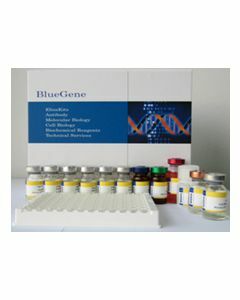 It is detected in fetal liver and adult skeletal muscle tissue. It is a potential candidate for one of the many diseases linked to Xq28. Recombinant human CLIC2 protein, fused to His-tag at N-terminus, was expressed in E.coli and purified by using conventional chromatography. Heiss N.S.. et al. (1997) Genomics. 45:224-228.